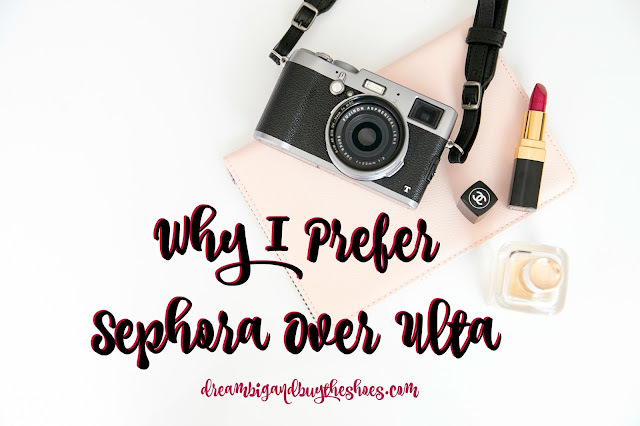 I may be biased just because I like what I like, but I thought I would share my thoughts of why I prefer Sephora over Ulta. I enjoy shopping at both, but there's some things about Sephora that just win me over. Return Policy: I'm not sure if you have heard about Sephora's return policy, but it's pretty amazing. There's things I have used and tried and simply did not like and was able to return them to my local Sephora and get something else instead, see my post about the Too Faced White Chocolate Chip Palette. Items returned without a receipt but found within our system will be processed according to the Sephora refund and exchange policy. If you are not fully satisfied with a purchase that you've made at an ULTA store, the product may be returned for a refund or store credit. Any item returned must have all original components and the sale receipt. A full refund is issued if the return is done less than 60 days after the product was purchased. So, I think Sephora wins this one...especially since I am AWFUL at keeping receipts. I used to be way more organized in this department, but I'm usually too excited about my beauty purchases and throw that bag in the garbage right away. 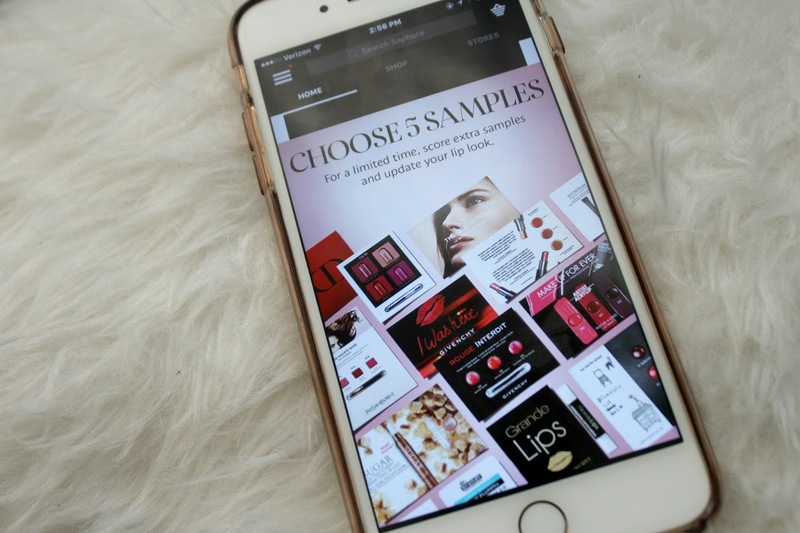 Mobile App: They are both pretty easy to navigate and you can try on looks in both the Sephora and Ulta apps. I love that when you purchase from Sephora's app there is always mobile offers for you to take advantage of. You also get at least 3 free samples with purchases also. The last time I purchased something through Ulta's app there was only a variety sampler available and it didn't even give me a clue as to what I would receive. I get it, free is free...but I like the option of choosing with Sephora. Shipping: Our local Sephora is located inside a JCPenney, so it's not the biggest store and I do most of my Sephora shopping online. I happily pay $10 a year for Sephora Flash which is two day free shipping. One thing I really can't stand is paying for shipping- so many stores online these days have free shipping or coupon codes to save on shipping. I was going to buy something from Ulta a few weeks ago online and you had to spend $50 to get free shipping. That can be easy to do...but when I run out of eyeliner I really don't want to have to spend the extra money to get free shipping from Ulta. 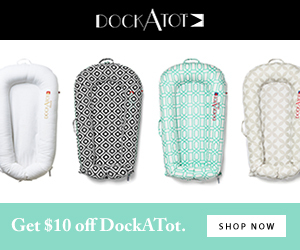 I think $10 for a year of free shipping is an unbelievable deal. Variety: While most Sephora stores are HUGE and I may not be the best example of options due to where I live, I think Ulta wins with this. 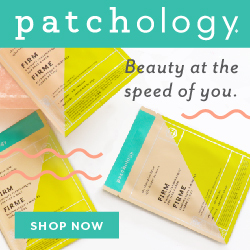 Ulta offers drugstore brands to high end, and just a lot more products overall. If you're looking for a variety of brands and prices- Ulta is for sure you're go to. Gift cards: I'm not sure if it's just due to my location, but our local grocery stores have Sephora gift cards. This means I can purchase a Sephora gift card and earn gas perks at the same time. Ulta doesn't offer them which is a bummer. 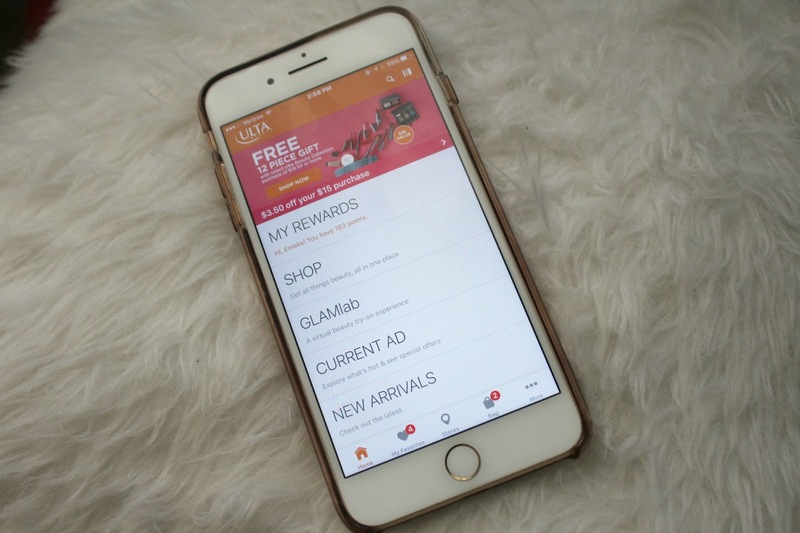 Although, both of the mobile apps at Sephora and Ulta allow you to purchase a physical gift card or e-mail a gift card which are nice options. Employees: Again, this factor could change due to where I live, but based on personal experience I have unfortunately not been impressed with Ulta employees, except for at their Benefit Brow Bar. I have had my brows waxed on a few occasions and have always been pleasantly surprised with how above and beyond they go to help and offer suggestions and products. It's a very thorough wax which I enjoy. When it comes to browsing the store though, the employees fall short here. I have often had to seek out help and when I do, the employees are not the friendliest. When I'm spending money at your store I shouldn't have to feel like I'm a bother to get some assistance. Sephora employees on the other hand are always so willing to help when I'm in the store. Whether it comes to asking for a sample, or for an opinion on a product they are so energetic and friendly and make me feel very welcome. I truly hope that this isn't the way it goes at other stores, but unfortunately it has been my experience locally and it hasn't changed in the past few years...bummer. 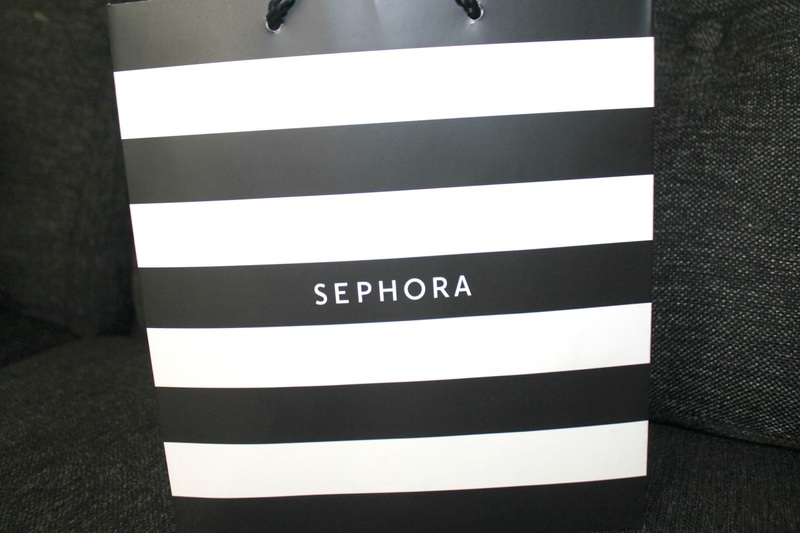 As I mentioned, I really enjoy shopping at both Ulta and Sephora, but Sephora has my heart. I would love to hear which store you like more and why, so let me know in the comments.